Hello, my name is Graham Leavell. 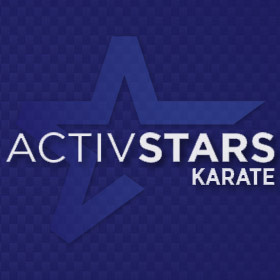 I have been involved with ACTIVSTARS since I first joined a karate class back in 2001. After coming up through the ranks at the Blue Springs location, I achieved my Black Belt in the year 2011. Past that point, I assisted my instructor, Sensei Colby Lalli, until I was hired in 2014. After this, I was given the instructor position for the St. Joseph location, where I teach today. As for a general background about myself, I am a 1st Degree Black Belt in Kenpo Karate, which I have studied since I was five. After receiving my Black Belt, I spent 3 years as an Assistant Instructor before I was hired. Outside of martial arts, I was very involved with my high school band program, the Blue Springs High School Golden Regiment. My junior and senior years, I was not only the Head Drum Major of the nationally acclaimed marching band, but also a lead player in a multitude of other ensembles. Now, I study Music Education at Missouri Western State University in St. Joseph, Missouri. After I graduate, I intend to pursue a Masters in Conducting and a Doctorate in Business. My dream is to, one day, be a high school band director.